As of this time Neocore do not intend for a character to be able to dual wield melee/range weapons, i.e. sword and pistol. 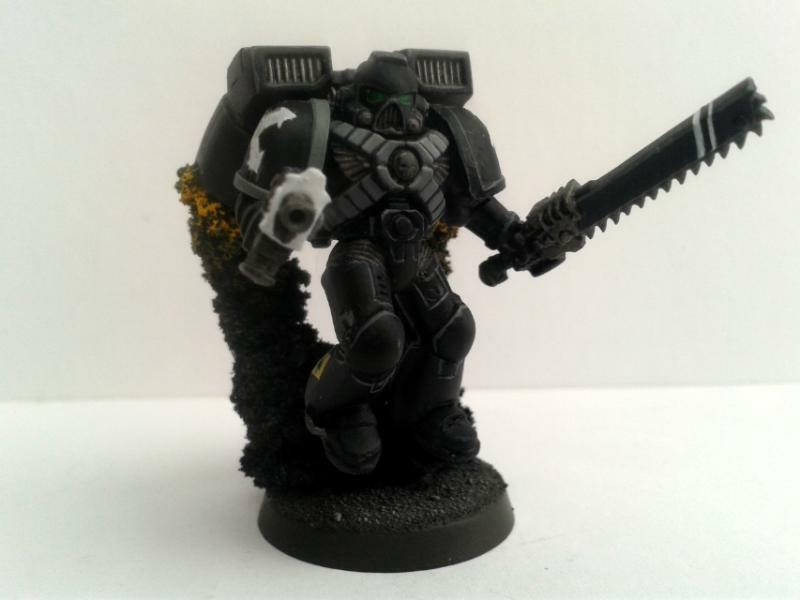 Some of us feel that such weapon combinations are an iconic part of a WH40K and, Neocore have indicated that if enough players indicate that they want it included in the game they will reconsider this design choice. There are several existing threads on this forum discussing how dual wield weapons could be implemented and, this thread is not intended to add to that discussion. Consider this just as a petition. If you do then please click the thumbs up for this original post. If you do not, then please click the thumbs down for this original post. If you wish to add any comments, then please do, but do feel that it is obligatory. Edit: Made an error when putting this Opening post together, please add thumbs up or down to my post below. I do not see a thumb up or down Icon, but I do see an Up arrow, Assuming that this is, thumbs up I have clicked it. Because, Yes, I do think this is needed. I would like it to be implemented but only "if" it can be done so in a way that is congruent with the combat style and cover system. That is to say that it remains enjoyable to play, balanced in terms of damage/mitigation and in other words "feels" appropriate to the game in both game-play and lore. No one can deny (especially for inquisitors) it's an iconic weapon combination. made a post in another thread about melee and pistol. i love it as it is right now, and would rather not see it go. My bad regarding the thumbs up and down for the OP. Please add a thumbs up or down to any of the previous posts or to this one as appropriate. Yes! Please devs, this needs to be included in the game! We definitely need to be able to use a ranged weapon in one hand and a melee weapon in the other. 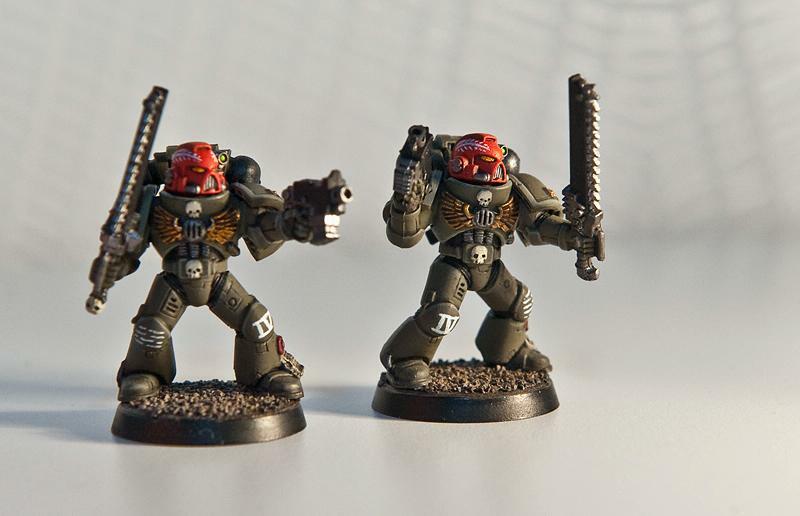 It's very iconic and Warhammer 40,000 just wouldn't feel right without it. As you can see it's a very common thing. I absolutly agree we need the iconic melee, gun combo! Hi guys, just adding my 2 cents to this whole deal. The hardest part would be to make these combos work is the balance, as they would be always too weak in proportion to other, more viable weapon combinations. Now the presumably easy solution would be to buff pistols. If you equip 2 pistols, you would be overpowered. It's a rather hard thing to balance these weapon combos, as you can see. An ideal solution could be to give "set bonuses", not in the classical meaning of the term, so players who equip a pistol+shield would receive some sort of movement/dmg buff, and so on. We will see how this will pan out but obviously I can't promise anything about this as we did not want these combinations in the game in the first place. It is obviously our fault that they were finally usable ingame, therefore giving players an opportunity to use these combinations. This is not necessarily bad though - The Founding campaign is for us to gather feedback from players and develop the game in the way you guys want it to develop. Okay, it's a fascinating bit of development lore to learn that was never intended to make it to us. Because if it hadn't? People would be asking why it's not there. Then screaming that they want it. As for the balance issue: (setting aside the animation issues, which are a whole kettle of fish of their own) Provide a 'stance' bonus to each setup. 2 handed melee? does A. 1 handed melee and shield: does B. 1 handed ranged and shield: does C.
2 1 handed ranged: does D.
2 1 handed melee: does E.
2 handed ranged: does F.
1 handed melee and 1 handed ranged: does G.
A passive benefit to each would help keep them viable. That could resolve this, I believe. Now, I realize that the example here might gel better with some weapons (Crit and lasgun ect.) but that was what came to mind. First of all, thank you for reconsidering melee/range weapon combinations. However, a personal point of view is that not all weapon combinations should be balanced or even viable; if they were then there would not really be any point in having diverse weapons. But, some of those, 'less viable' weapon combinations might suit a group of players in a peculiar situation during a co-op run. Again personally speaking, I feel the 'current' system of combining the first 2 skills of each weapon works fine. But, if one wanted to 'tweak' that then an individual skill or it's placement in the line of 4 could be altered or, fine tuned as it were. If you wanted to beef up certain one handed weapons' skills then maybe an additional classification could be added to those existing at the moment (I am thinking of the buffs that affect, salvo, channel, AoE and others but I am not sure what that list is called). For example let's call it 'Two Handed Grip' and it gives the attack a percentage increase in damage. Now one might apply that to the majority of melee attacks, but say only a few ranged attacks; an aimed shot might be improved, but a inferno pistol's area affect attack would not benefit. As I said these are just personal views, submitted for consideration.